The Georgia General Assembly was in session Monday, Wednesday and Friday this week, completing the 32nd day of their 40-day session. Tuesday and Thursday were set aside for committee work days. The legislators will be in session Monday, Tuesday and Thursday next week. This was a busy week at the Capitol as it was also the week candidates for upcoming elections came to qualify. Some elections will be decided in the May primaries, others will be decided in summer runoffs while other races with candidates from both parties will be decided in November. Click here to see a list of all the candidates who qualified. With Crossover Day last week, both the House and Senate had long calendars and the bills they passed were moving through committees this week. None of the bills GBA is monitoring were subject to floor votes this week. Department Housekeeping Bill. The Senate Banking and Financial Institutions Committee held a hearing on HB 780 by Rep. Bruce Williamson (R-Monroe). This is the Banking Department�s housekeeping bill and Rep. Williamson and Banking Department counsel Bo Fears did a good job thoroughly explaining the bill. 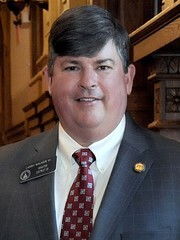 Questions were raised by the Georgia Trial Lawyers Association about the potential for the legislation to affect pending litigation, and Georgia Watch, a consumer advocacy organization, questioned whether the parity provisions could be interpreted such that they might preempt the state�s usury restrictions. 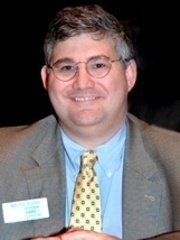 Out of an abundance of caution, committee chairman William Ligon (R-Brunswick) recommended Fears and the legislature�s counsel review the legislation in light of the questions raised and he announced another hearing will be held on a revised bill at the committee�s regularly scheduled meeting next Tuesday. A draft substitute is being circulated that addresses the questions raised and we expect the bill will be reported out of committee next week. 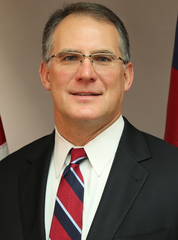 The legislation continues to build on the good work done by the GBA Code Review Task Force in two primary areas: allowing shareholders to give boards of directors additional liability protection and expanding the existing parity provisions to ensure state chartered banks remain in a competitively equal position with nationally chartered banks. 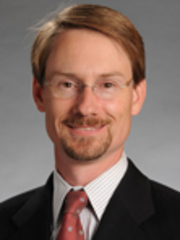 Sen. John Kennedy (R-Macon) will be handling the bill in the Senate. Uniform Fiduciary Access to Digital Assets. 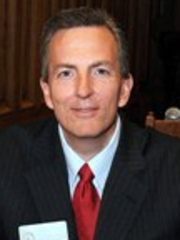 The House Judiciary Committee reported SB 301 by Sen. John Kennedy (R-Macon). The bill is recommended by the Uniform Law Commissioners and relates to the fiduciary access to digital assets. The bill is the result of several years of work by the Commissioners and has been adopted by most other states including all those that surround Georgia. Abandoned Mobile Homes. 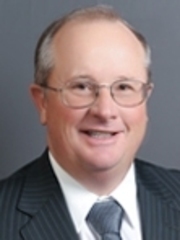 The Senate Judiciary Committee held a hearing on HB 381 by Rep. John Corbett (R-Lake Park) that establishes a new procedure for the disposal of abandoned mobile homes. The Department of Revenue asked the committee to consider moving the effective date into 2019 in order to have time to develop new software. The committee took no formal action on the bill. Our thanks to Rep. Corbett for working with us to perfect the bill. Power of Attorney. 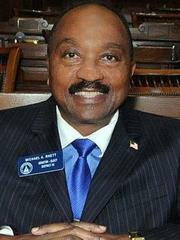 The Senate Judiciary Committee reported HB 897 by Rep. Chuck Efstration (R-Dacula). The bill continues the significant work accomplished last session revising the state�s Power of Attorney statute which GBA supports. Our thanks to Rep. Efstration for working with us to perfect the bill. Trust Code Revisions. 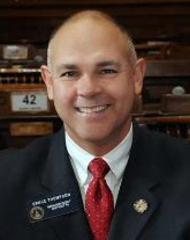 The Senate Judiciary Committee held a hearing but took no further action on HB 121 that had previously been amended to include the provisions of HB 122 both by Rep. Chuck Efstration (R-Dacula). 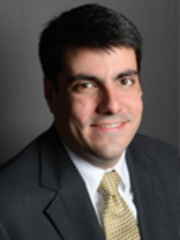 The legislation is the result of the work of the Trust Code Revision Committee of the State Bar�s Fiduciary Law Section. The legislation deals with minor or unborn beneficiaries; changes provisions relating to nonjudicial settlement agreements, the modification and termination of noncharitable trusts, and distribution to another trust; changes provisions relating to modification or termination of uneconomic trusts and adopts provisions of the Uniform Statutory Rule Against Perpetuities, so as to change provisions relating to the validity of nonvested property interest or power of appointment; and changes provisions relating to reform of disposition by court to approximate transferor's plan of distribution among other things. Real Property Taxation. The Ways and Means Committee held a hearing on and reported HR 1317 by Rep. Andy Welch (R-McDonough). The resolution creates a study committee on real property taxation. Financial Institution Tax Credit. 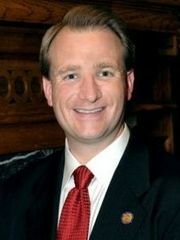 The House Ways and Means Committee amended and reported SB 432 by Sen. John Albers (R-Roswell). As introduced, the bill would have abolished the financial institution tax credit as of Dec. 31, 2019. The bill had already been amended in the Senate to have the state auditor conduct a study on the credit and report findings to the legislature. The House committee removed the tax credit language altogether and the bill now addresses some international tax related issues that were inadvertently not included in the Governor�s tax reduction bill that passed recently. We�ll continue to monitor the bill, but at this time, it appears the financial institution tax credit will not be dealt with this session. Garnishment. The House Judiciary Committee held a hearing and reported SB 194 by Sen. Jesse Stone (R-Waynesboro). The bill makes several changes to the garnishment code among which are the earnings subject to garnishment, service of garnishments, the time a garnishment may be outstanding and the evidence that may be presented to the court. Banking Improvement Zone. The House Banks and Banking Committee held a hearing but took no further action on SB 358 by Sen. Michael "Doc" Rhett (D-Marietta). The bill provides an incentive for financial institutions to operate in an underserved area designated as a Banking Improvement Zone by the Department of Community Affairs by allowing the local governmental entity to place deposits with such financial institution at a favorable rate. Higher Education Savings Accounts. 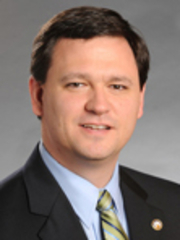 The Senate Finance Committee held a hearing on and reported HB 664 by Rep. Sam Teasley (R-Marietta) that doubles the income tax deduction for contributions to higher education savings trust accounts for individual filers to $4,000 per beneficiary and to $8,000 per beneficiary for joint filers. Limited Credit Insurance Agency. 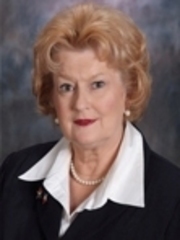 The Senate Insurance Committee held a hearing on and reported HB 938 by Rep. Darlene Taylor (R-Thomasville). 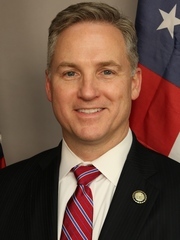 The bill authorizes the creation of a new entity called a Limited Credit Insurance Agency designed to provide a licensing alternative to covered entities such as banks so that the agency will be licensed negating the need for individuals to hold a limited credit insurance license from the Insurance Department. Unauthorized Computer Access. A House Judiciary Subcommittee held a hearing but took no further action on SB 315 by Sen. Bruce Thompson (R-White) to create a new crime of Unauthorized Computer Access to apply to those instances when someone gains access to a computer or network without authority and upon conviction, the individual will be punished for a misdemeanor of a high and aggravated nature. Consumer Credit Reporting Bureau Fees. The House Banks and Banking Committee held a hearing but took no further action on SB 376 by Sen. David Shafer (R-Duluth). The bill removes the statutory authorization for a consumer credit reporting agency to charge a fee to a consumer who chooses to place or remove a security freeze on the consumer�s account. 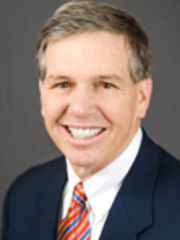 The bill is similar to HB 866 by Rep. Scot Turner (R-Holly Springs) that has passed the House and SB 345 by Sen. Jen Jordan (D-Atlanta) that has not received action. Insurance Information Sharing Notices. The House Insurance and Labor Committee held a hearing on SB 350 by Sen. Larry Walker (R-Perry). The bill removes the requirement of an insurance company or agent to send an annual privacy notice to consumers if no information has changed relative to the company�s information sharing policy of personal non-public information. Ad Valorem Taxation. 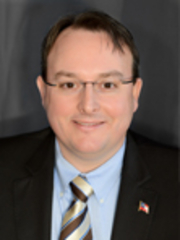 The Senate Finance Committee amended and reported HB 729 by Rep. Brett Harrell (R-Snellville) to clarify that the intangible tax collected when loans are refinanced is to be only assessed on the new money, not the entire principal. We publish the Legislative Update each week the General Assembly is in session, so be on the lookout for that email. You can always see a list of bills we�re monitoring on the State Issues Page of our website that we update daily. 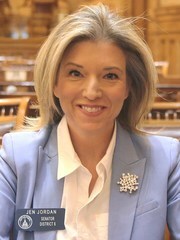 Led by GBA�s Senior Vice President, Government Relations, Elizabeth Chandler, GBA is at the Capitol every day advocating on behalf of our members. 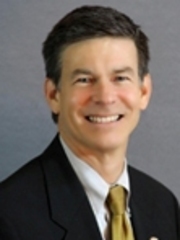 Also at the Capitol are GBA�s government relations consultant Steve Bridges and GBA President and CEO Joe Brannen. With questions about GBA legislation, other issues of interest, or anything related to the legislative process, contact Elizabeth at 404.420.2027, Steve at 404.420.2037, or Joe at 404.420.2026.